This is completely my fault. First I had never heard anything about JR Bently’s, then I didn’t read the menu first and of course I never order pub food. The only reason I did not get Fish & Chips is because I don’t regularly eat fried food. So the situation just started off wrong. I was asked to come have lunch as a portion of the proceeds would go toward Arlington Proud and then for charity I always order higher priced items. We even got an appetizer! Some of this money we’re spending goes for a good cause! I really had no business ordering salsa from a pub. This was my fault, I was just hungry. Not terrible, but not great. It was fine. I’m not used to fine salsa. My mom makes one of the most amazing salsas and most of the time I never order chips & salsa out of pure respect. Iceberg lettuce. The cheese made up for it? I didn’t order any ranch because I didn’t want empty calories. I ordered on the side for the bake potato but it was on top. Already disappointed I just asked for the A1, there was no rub or marinate. 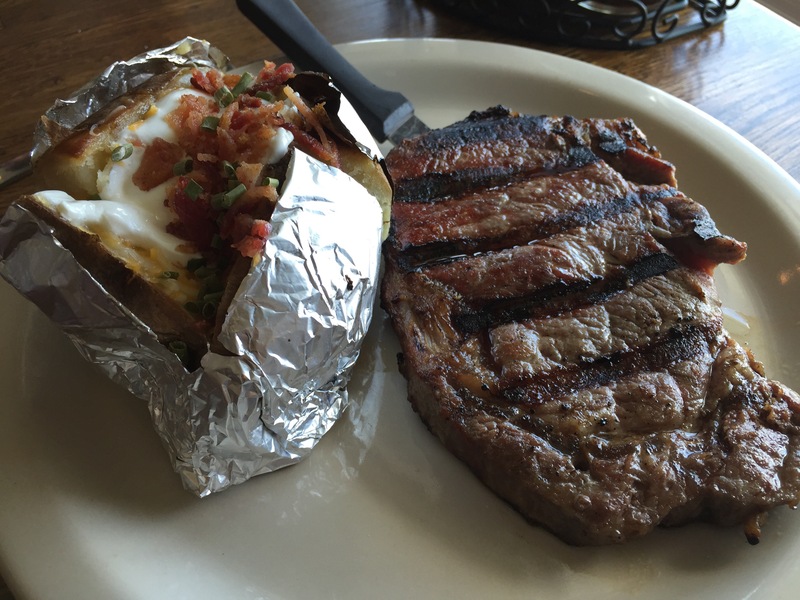 The baked potato made up for everything. Ordering the toppings on the side was a bad move anyways, I ate all of it. THIS IS WHAT I SHOULD HAVE ORDERED! Aaron Rockabitch just ordered what you order at a pub and let me have a taste and now I know. I also did not order any alcohol. I should have just went to Sweet Tomato and ordered an Arlington Proud hoodie. SOMETIMES YOU JUST HAVE TO EAT FRIED FOOD FOR SATISFACTION REASONS ONLY! Do not go into a pub and order a salad. Have you ever tried to avoid a certain food then end up eating a less than appetizing meal? I usually order chicken tenders. Bars and pubs have the best chicken and French fries. I know I look like a 12 year old ordering it but I don’t care. It’s delicious! I agree. I know their menu had some gems on them – the fried foods! I tasted a fry on Aaron’s plate & it was even well seasoned. hehe, you crack me up girl! 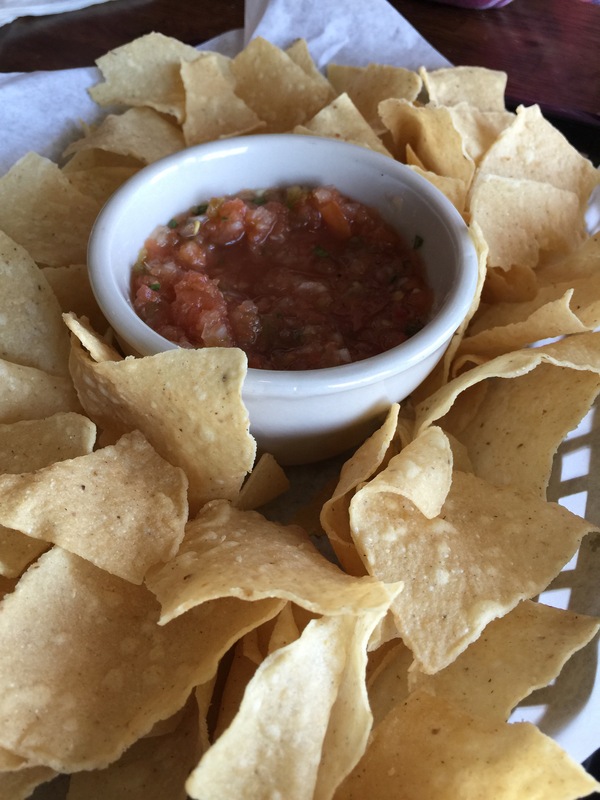 I really had no business ordering salsa from a pub – quote of the day for sure 🙂 Great blog! Yes! Lesson learned! Glad to crack you up. 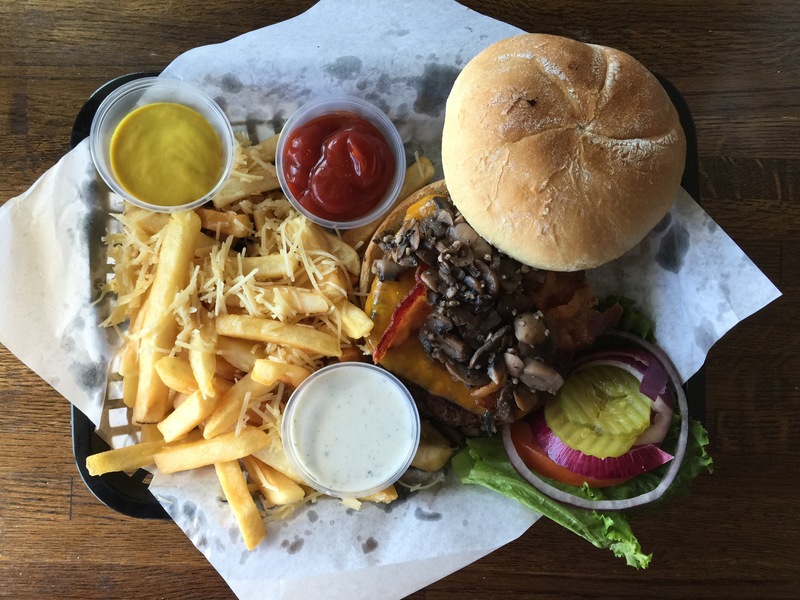 The burger definitely looks a lot better than the steak! I had crab cakes at a pub once and they were just awful. They tasted super fishy and not anything like crab at all. It’s one of the few times in my life I actually sent a dish back. 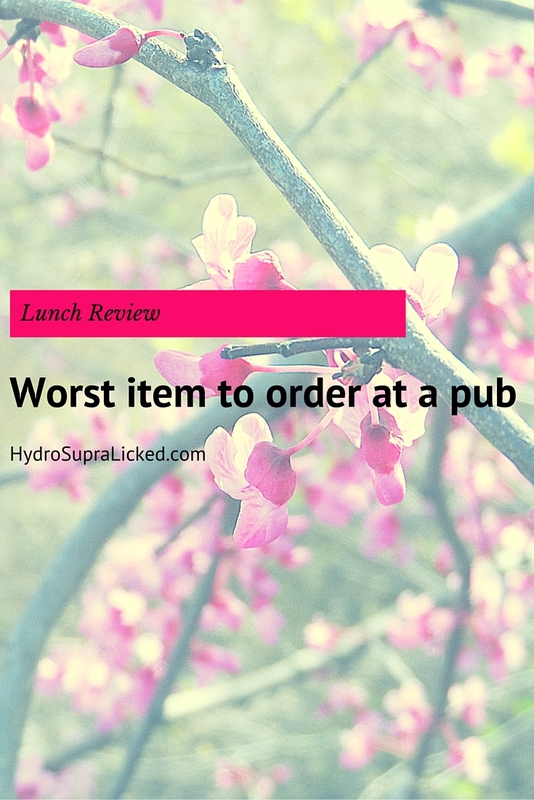 It can be hard to order a good lunch at some, if not most, pubs! I know, I’m not a fan of pub food in general. I’ve had friends from London tell me how amazing their fish & chips are. That was a really fun review! I totally agree at the very end – burger and fried all the way when it comes to pub food! Steak – you only get the bare nitty-gritty and salad?! Yep – iceberg. So funny! Yes, a lesson has been learned! Also I left you a note if you had heard about the burro lady passing away in January? Ha! I haven’t brought a brown bag for lunch since middle school! That’s so true! 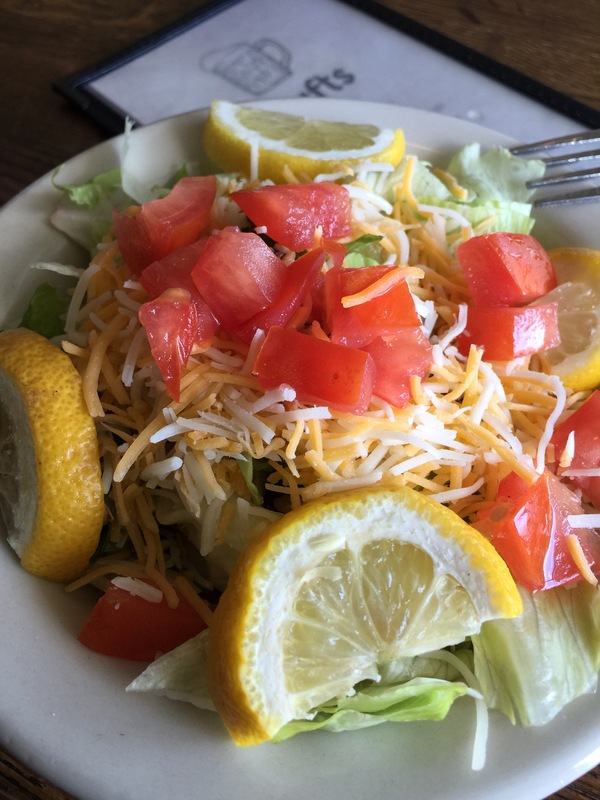 It’s such a hit or a miss when ordering a salad at a bar. Better luck next time!